Qualifications: BSc(Hons) (First Class) Otago 1968, PhD Otago (1972); Perkin Postdoctoral Fellow, Magdalen College, University of Oxford (1972-1974), Visiting Research Fellow, School of Pharmacy, London University (1978-1979), Visiting Research Fellow, Department of Chemistry, Australian National University (1986). 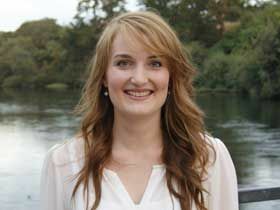 My current research interests include the identification and quantification of extractable organic substances in industrial discharges, and environmental samples using capillary GC and GC/MS procedures, the chemical characterization of the floral source of New Zealand honeys and the characterization of natural product molecules of importance in New Zealand agriculture. Notable acheivements to date include the elucidation of the structure of the substances recovered from the bile of sheep grazing Panicum dichotomiflorum (in New Zealand), P. schinzii (in Australia), Narthecium ossifragum (in Norway), and Tribulis Terrestris (in South Africa), and the structural elucidation of a termogenic metabolite of Penicillium janthinellum. Some unique carotenoid-like substances, possessing tricyclic skeletons, have been isolated from New Zealand unifloral honeys and their structures elucidated using a combination of GC/MS, one and two-dimensional NMR and X-ray crystallographic methods. Projects concerned with organo-chlorine pollution of the Manakau and Tauranga Harbours, and the impact of pulp mill discharges in the Tarawera River and the Matata Lagoon are also underway.